Congratulations to the 4th Anniversary Celebration of the Phuket Sunshine Village Foundation. 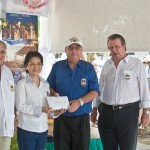 On this occasion our club gave 150 000 Baht from our sponsors to the foundation. 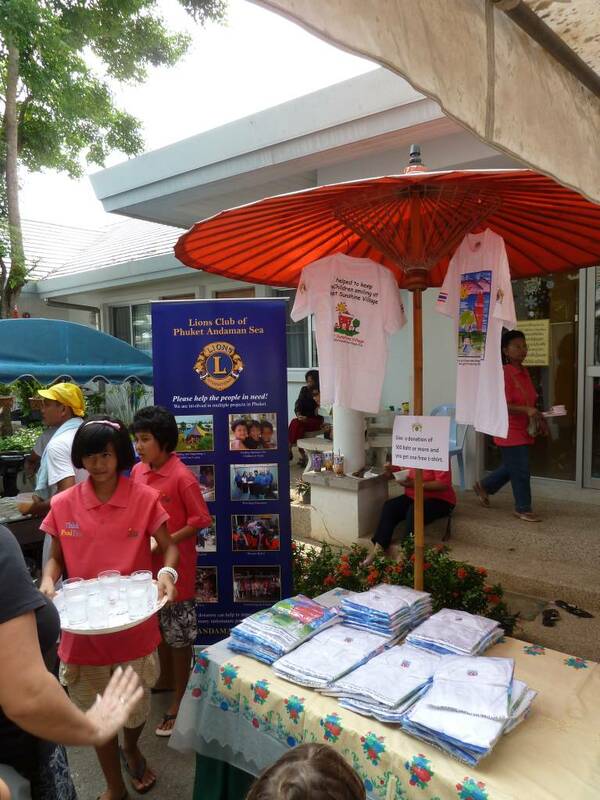 As well as the latest edition of the Lions Club T-Shirt activity were on sale at the 4th Anniversary Celebration of the PSV. 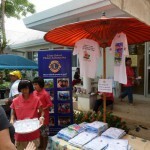 Profits of the sale are to support the Phuket Sunshine Village Foundation. Activity June 2011 and immediate help! At the beginning of the month, Lion Peter got a emergency mail from Kuhn Arunee From Youth Activated, a group of active people working with underprivileged children and keep them of the street. 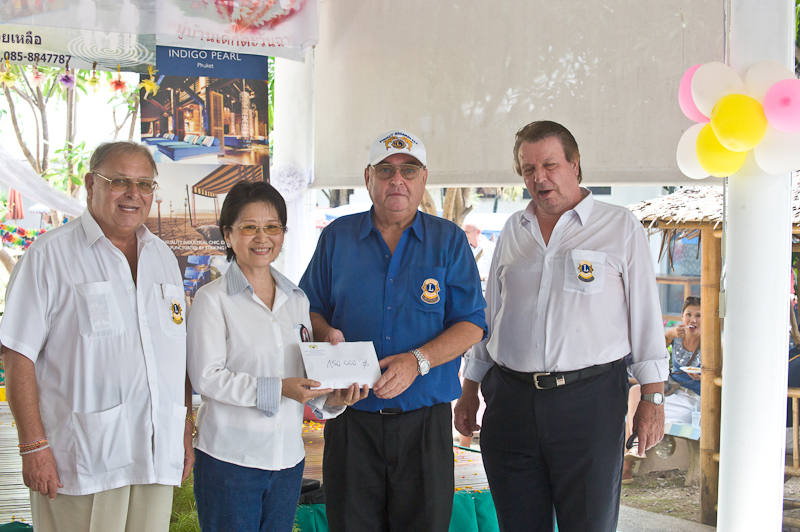 It was clear, that the Lions Club of Phuket Andaman Sea will help in this case. We all hope,that the girl will recover soon and that the driver of the car will be held responsible by the authorities soon for his misbehave. Thank you so much for your kindness. You have been very helpful to others. This girl’s name is Khanittha Ponpayoong, 16 years old. Three weeks ago the father and Khanitha ride on the motorcycle in Kathu area ( they sell food ) early morning. It was about 6.00 am. They got hit by a car and her father died instantly. Khanittha had very bad injuries. She needed an operation right away. She had a broken leg, and had to put a metal inside. Her head is seriously injured and effected her brain as well. She was sent to Wachira Hospital. The driver promised to pay for the hospital bill but till now, have never shown up. The mother tried to get any help from the government to pay for the funeral and hospital bill. Today the doctor said she can go home but her mother doesn’t have enough money to pay it all. 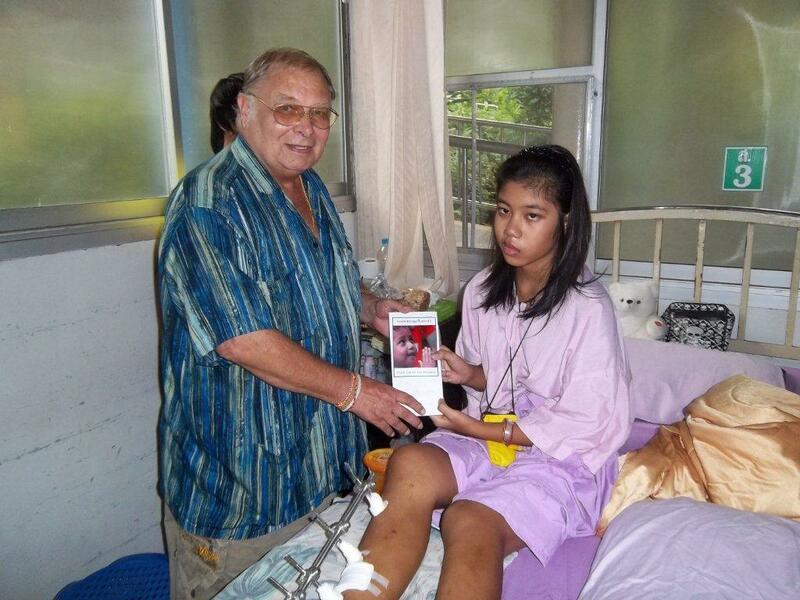 She still needs about 12,000 baht for the hospital. Her mother went to Ubon to try to borrows money and she hasn’t come back yet. Kannita is still at the hospital with her auntie. So would you please help her, as she cannot be released from the hospital until she pays the bill.Pls. let me know if you need more information. Thank you so much Khun Peter and all member of the Lion Club.